Pretty pumped about this. I was just about to buy one but was worried that Garmin would release a new one now that they have acquired them. A little more expensive, but curious how the maps stack up. I had just purchased a cellular ipad for the gps, so i will use that until i get my hands on one of these before a big trip to Utah in May. Didn't realize it until Death Valley, but family likes to know where you are, and two days of no contact is too much! I have a basic SPOT device I use for backpacking but take it with me in my bag when I travel. Never a bad thing. Been thinking about their SAT phone, but this one looks way better with maps etc. Yeah, tethering this to an ipad/iphone will make for a pretty nice system if I like the maps. Just getting my toes wet with Gaia, but this is a super nice option for a tablet that is wifi only. Definitely thinking SAT phone of some sort before I pack the family on a big adventure. besides the cost of the device, what other expenses are there for something like this? Data plan? Yep, data plan. they vary a lot. SPOT has a reasonable deal and you can sometimes get the phone for free with a year subscription. They have some lighter plans. My wife liked getting emails from me in the backcountry with my GPS coordinates. that was my SPOT device which is just a simple push button messenger. Nice piece of mind to know that if somebody got hurt 8 miles back, you can push a button and get help going immediately. Even better if you can call it in and let them know the whole of the emergency. Or just order pizza. That garmin looks very robust with the built in maps. 10 bucks a month gets you unlimited gps/ tracking to 10 minute intervals, unlimited generic texts (ie "arrived at base camp") and 10 texts up to 160 characters. You can do 15 a month and turn it on/off for 30 day intervals if you like. In order for gps to work, the plan must be on. **Dont hold me to all of that ^^^ as its written from memory, but pretty certain its accurate. Just a point of clarification: These are NOT satellite "phones", better term would be satellite communicators. They support texting, but not voice. As an off-road moto rider I've carried a SPOT unit (1st generation) for over 8 years and added the tracking option 4 years ago. 99.9% of the time I'm just pressing the OK button to let Sherry know where I am. She will get a text and/or email with link to google maps and can see where I am and see photos of what I am looking at if there are any associated with that feature in Google. I always send one at the end of the day to let her know I'm done riding and back at camp so she doesn't worry. Had a bad crash one day and had to press the 911 button and got a swift response. The main downside of that unit was that you were limited to pre-programmed messages that were set up on the SPOT website and no feedback that message was received. Last year I switched and purchased an InReach SE. I didn't need the Explorer functionality as I always have a dedicated GPS. I thought its functionality was better than the current SPOT units and they definitely have better satellite coverage (Iridium vs GlobalStar). The texting capability is awesome and ranges from the frivolous (bring more beer) to the serious (being able to describe nature of a 911 emergency so a more appropriate emergency response can be deployed). Real satellite phones are pretty expensive, both to purchase and voice/data plans. 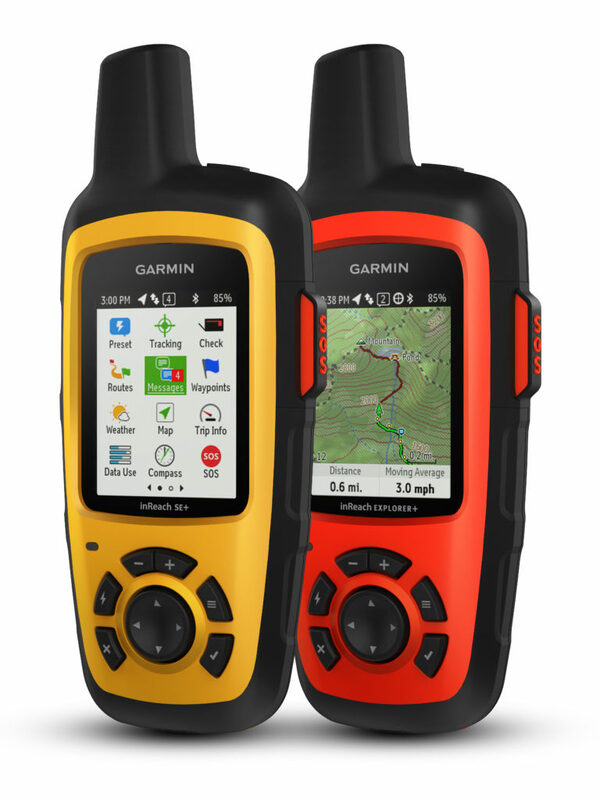 The satellite communication devices (Spot and InReach) are a very good and affordable compromise. I just bought an Explorer but had a feeling they would announce new models at CES. I'm wondering how useful the topo maps will be on a 1.4" x 1.9" screen? I'm debating on whether to pick up the new model or just use the one I have along with the Earthmate app on my phone.